Just like his sire, Enlightenment produces quality in all colors. We have shown and won with offspring in grey, brown, bay black and fawn. Several of his offspring have gone on to banner and if anyone is willing to part with one of his offspring they are sure to be in the top 5 sellers at auction. Snowmass Enlightenment genetics will help you realize the full potential of your breeding program. At the 2013 MAPACA Jubilee, 2 of the 6 entries in the judges choices were Enlightenment offspring. At the 2014 AOA National Auction an Enlightenment female was 4th in order of selling price and went on to take a banner in the National show. Enlightenment currently has over 99 registered offspring. Of the 99, 12 are banner winners and an additional 35 have taken the top three ribbons at shows. Looking for grey? Enlightenment has produced 42% grey across all colors. 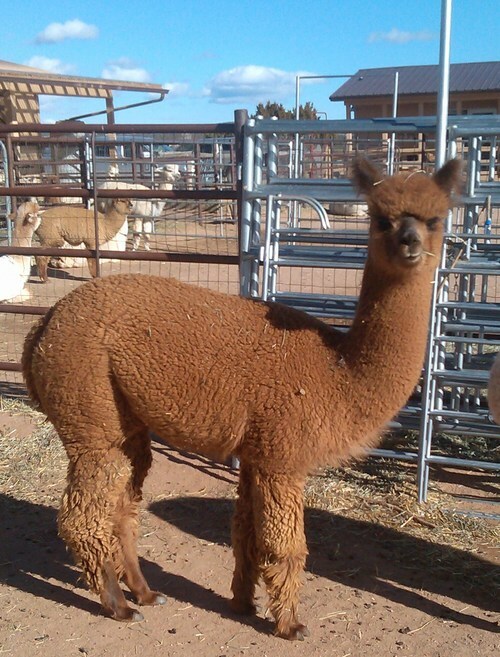 This male gives you the best odds of getting a winning grey cria! 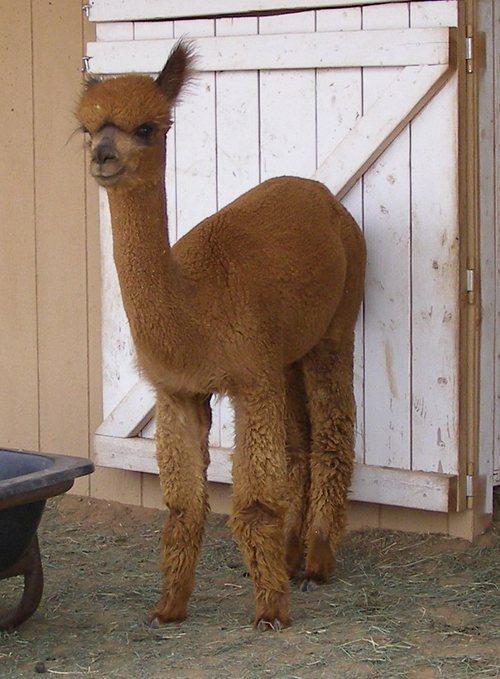 Our beautiful Layla is one of those alpacas that just loves everybody - two legs, four legs, doesn't matter to her. 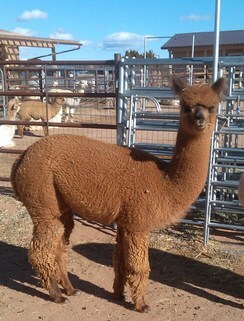 I was immediately drawn to her the minute we met, but when I opened up that fleece, I just fell in love. Creamy soft, silky bright, amazingly well organized, lovely handle, plush with density, great coverage wrapping up a very well put together female. She has now matured into a lovely young lady - still full of that sweet curiosity that so charmed us as a juvi, but also possessing a poise and presence that still attracts attention. She sells with a breeding to the male of your choice.